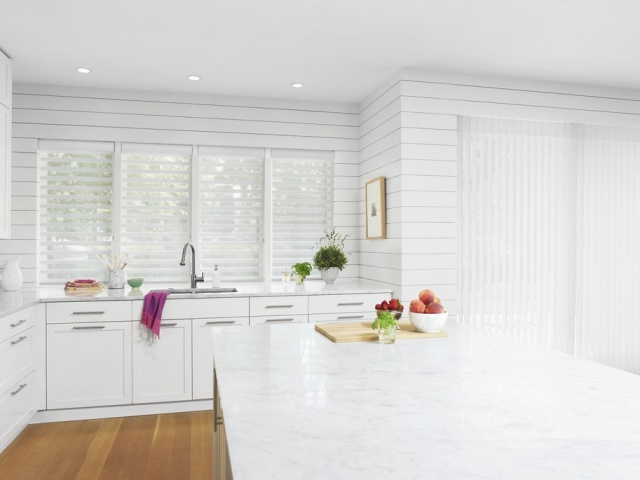 Luminette is a sister product to Silhouette and Pirouette that is perfect for vertical applications such as Sliding Glass Doors. 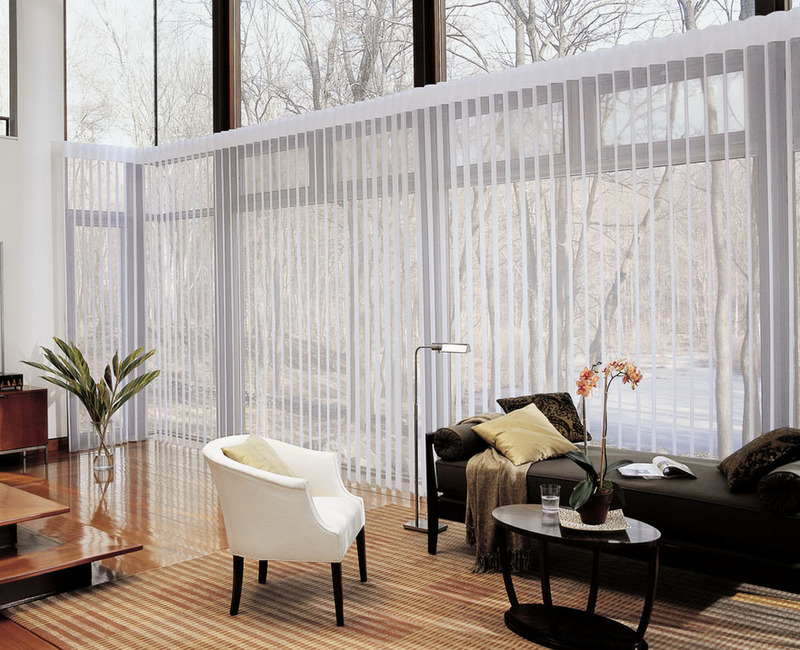 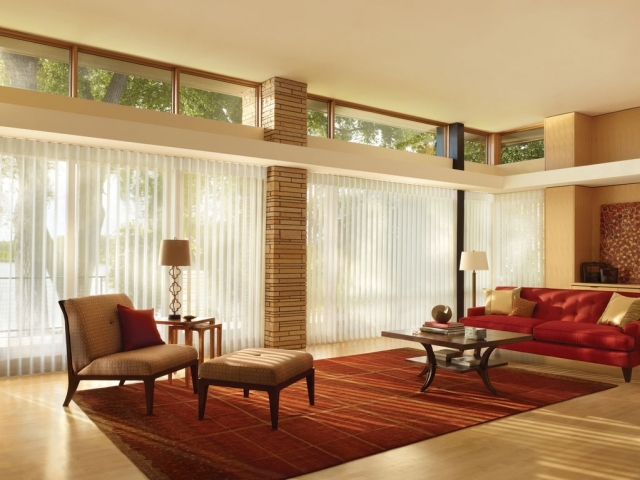 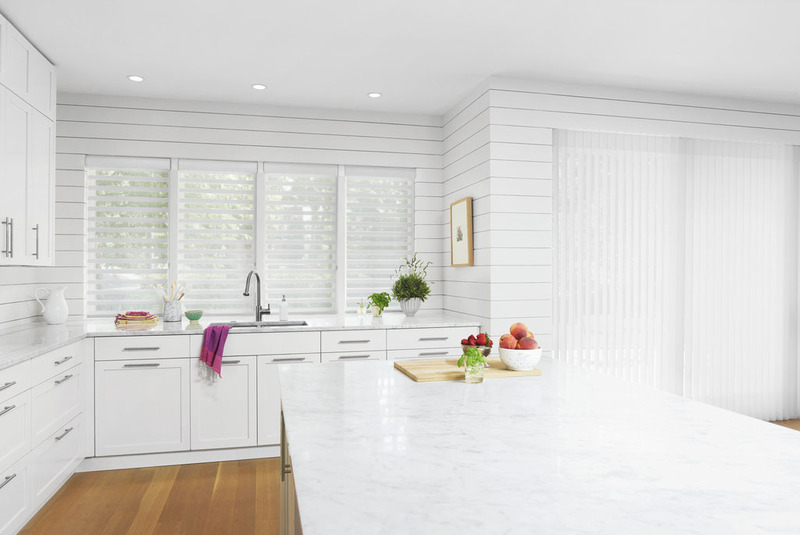 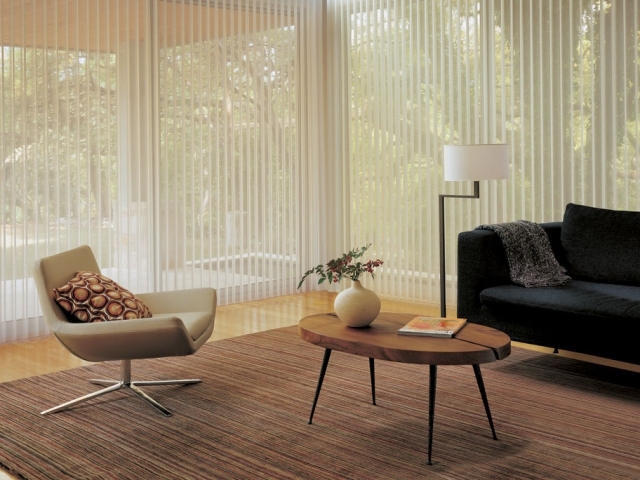 A Luminette operates like a vertical blind and has slats that can be tilted to adjust for view, light, and privacy. 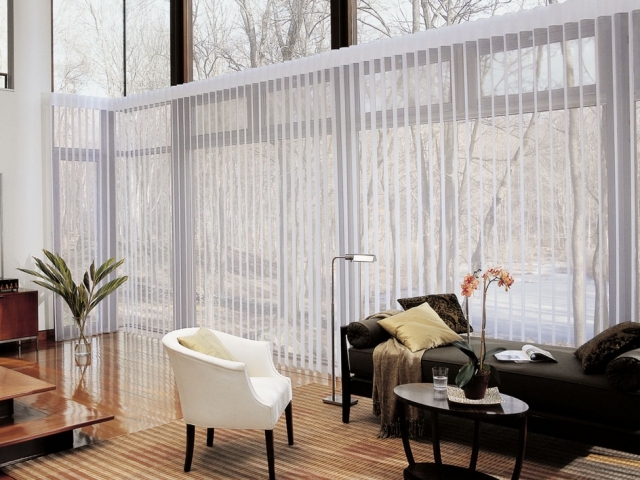 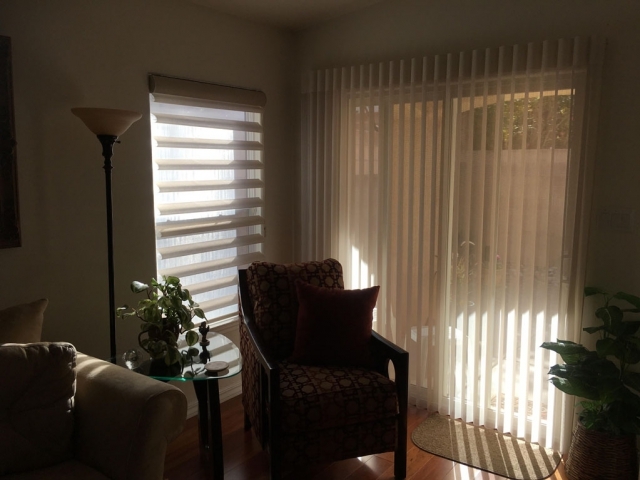 A Luminette has soft fabric slats with a sheer over them that connects them together. When the vanes are open, the sheer softens the light and view and adds elegance to the room. 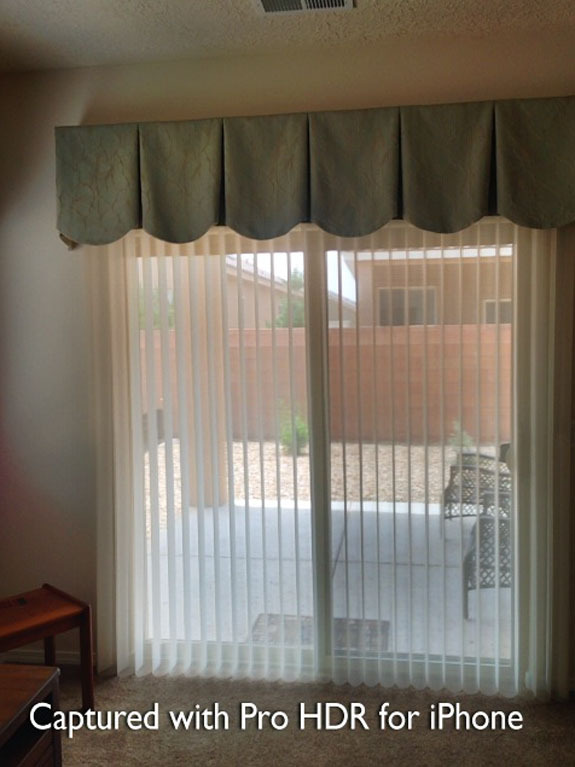 When the Luminette is closed it has the beauty of a drape with flowing fabric and provides privacy and insulation. 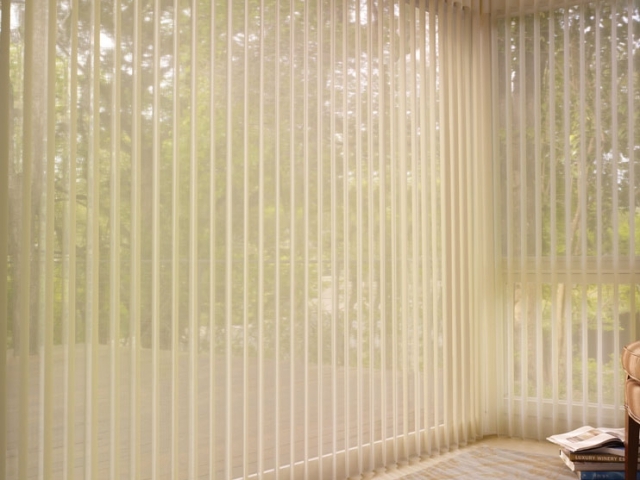 The Luminette has light filtering and room darkening options available and therefore can work for any room such as Living rooms as well as Bedrooms. 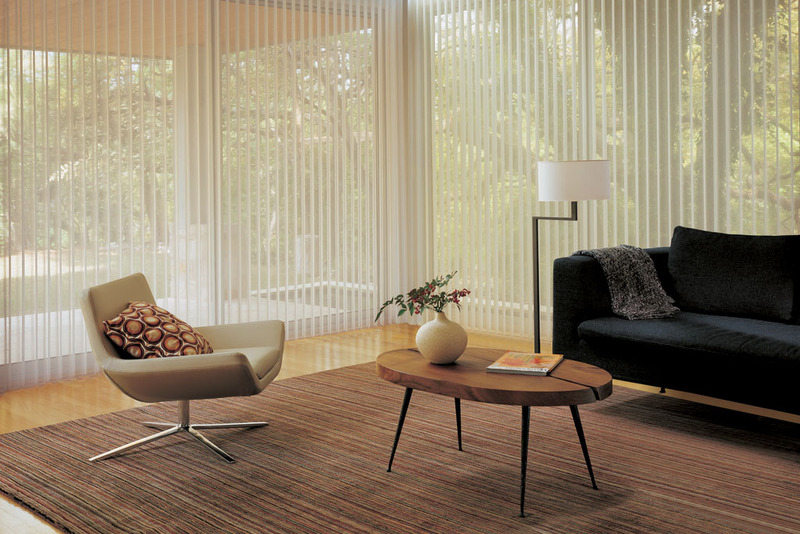 There are many selections of fabrics in Luminette with solid and textured sheers available to compliment any decor. 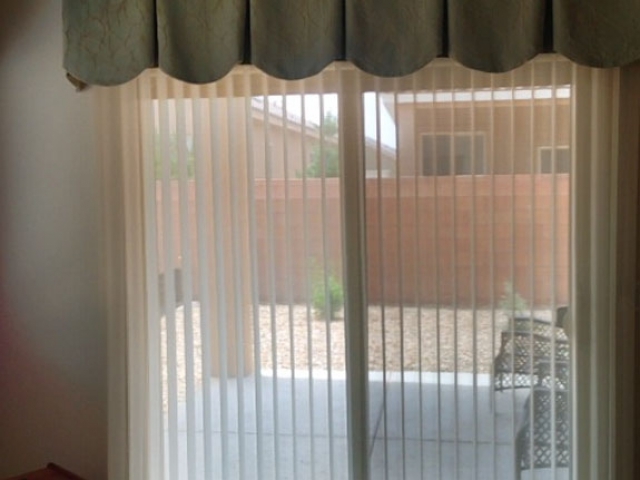 The Luminette can be ordered with side stack, and split stack to enhance the operation of any door or window opening. 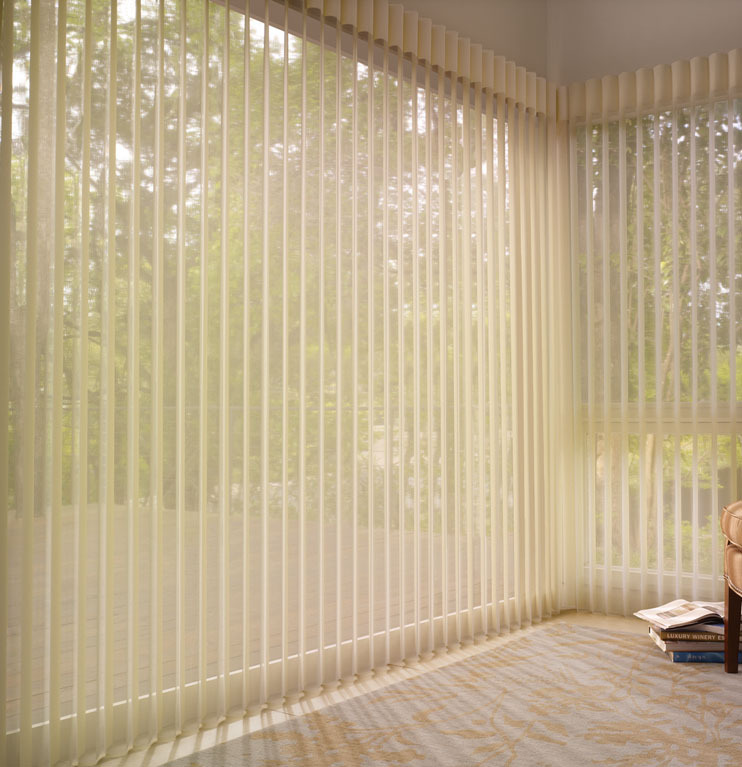 Luminettes are available with child and pet safety systems such as wand/cord combination, traveling wand, and Powerview Motorized operation. 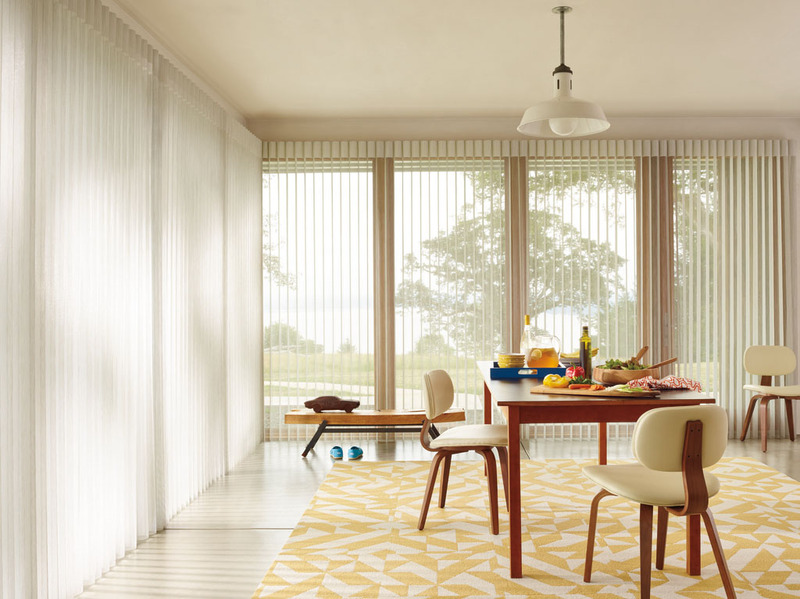 Let Joy Bring the Showroom to You! Call Her Today at (505) 239-2392.